Weddings are a joyous occasion. ​It's time to get busy and look gorgeous. Do your best to cherish this once-in-a-lifetime event. Below are some beauty tips to avoid any stressful moments during the final weeks before your wedding. 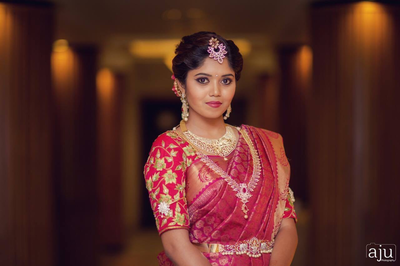 Pre-Bridal Services like Facial, Waxing, Threading, Hair Colouring, Hair or Body Spa, Manicure and Pedicure - 5 to 3 days before the event. Hair - On the day of wedding wash your hair with shampoo and no Conditioner required. Don't Apply Mehndi till your Blouse. It might look odd in Pictures. Do all your shopping a week before the wedding. Do not play with your skin! This is a big No-No. You must not touch or play with pimple. Do try your best to relax. There’s no point worrying about anything now, it’s all in hand, just focus on getting a good night’s sleep so you can wake up feeling refreshed and excited. Tomorrow you’ll be marrying your beloved, surrounded by your favourite people, and probably smiling more than you ever had in your life! All that’s left to do is to dream about your special day. Your wedding day is going to be one of the most exciting days of your life! Make sure you don’t forget anything by preparing your day-of emergency kit and list of important needs. 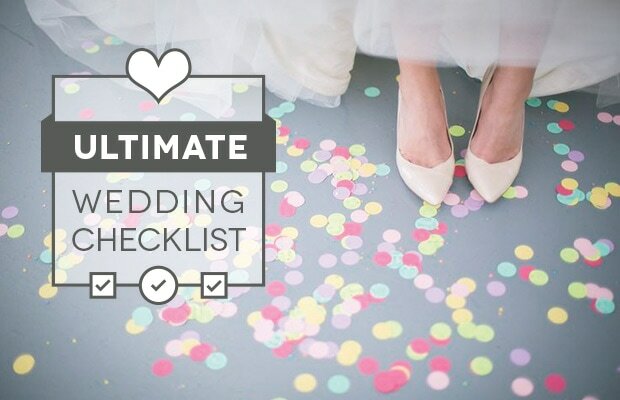 Use our wedding day checklist below as a reference. Being prepared can save you a lot of stressing and unnecessary running around on the day of your wedding. ​Once you are prepared, it will be easy to sit back and enjoy your special day….